Glackens, L.M. “Independence day at last.” Cover Illus. in: Puck 1910 June 29. 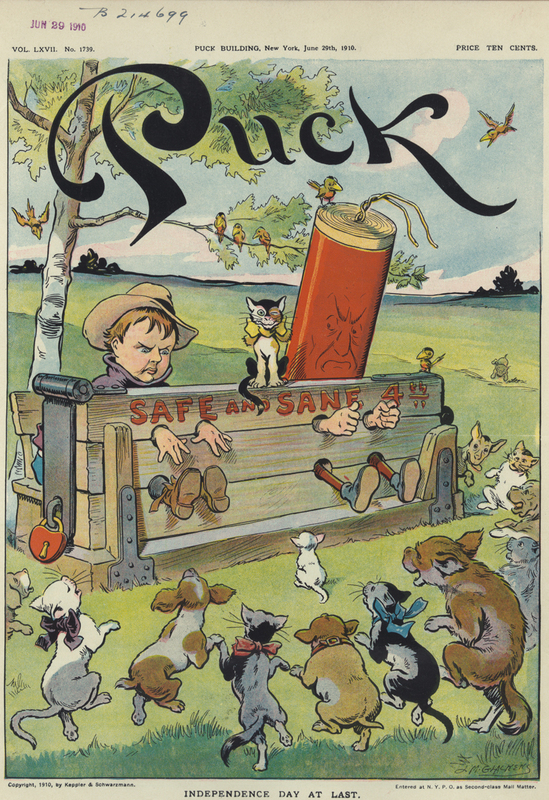 Summary: Illustration shows a young boy and a large firecracker locked into stocks labeled “Safe and Sane 4th”, with many dogs and cats dancing around them.